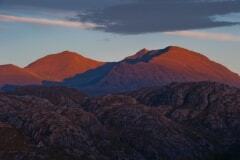 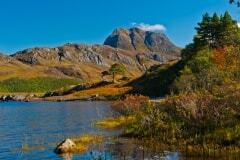 This was my first evening in Wester Ross. 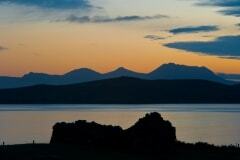 I was staying in a cottage at Aultbea, and frankly the evening looked rather bleak. Then, with the startling suddenness that the Highlands seem to specialise in, the sky lifted enough to allow a golden sunset to form in the west. 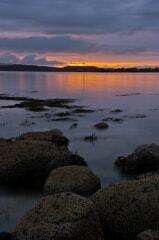 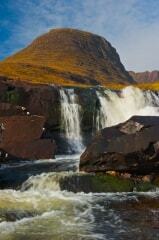 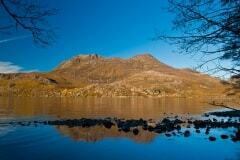 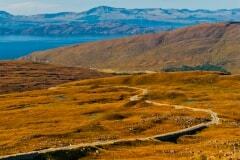 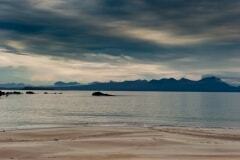 I grabbed my camera gear and headed to the shore of Loch Ewe in time to capture this photo.